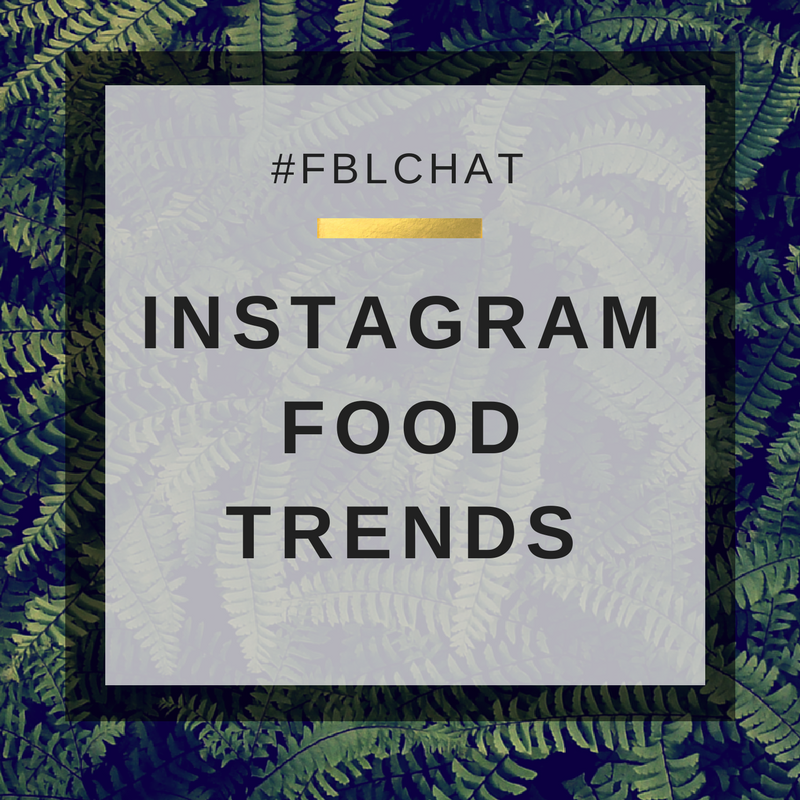 This week’s FBLChat looked at the instagram and in particular the daily food trends that seem to be changing every single day. One moment we are meant to be loving avocado on toast and living our best life. The next, veganism becomes the next big trend - it is like we just can’t catch a break! If you missed our chat, read on all about the Instagram food trends that are getting us riled up. Q1) What instagram food fads are you sick of hearing about? · Chips and pizza! All I see everywhere is chips and pizza!! · Actually none of them. I love seeing yummy food - it inspires me to cook more delicious food & try out more . Q2) Do you think there is a real problem with food shaming on instagram? · I have honestly seen no food shaming at all. Are people shamed for the food they eat or for the way they share it? · Not in my experience. Though, those that I follow are mostly pushing supplement products. · I personally don't think so. However, I don't look at food much as I'm vegan and all I usually see is meat or fish. · I notice there is quite a number of bloggers who are vegan. I don’t think I shall ever become one though. · I adore seeing vegan foods on instagram, it makes me so happy and hungry! Q3) What was the last instagram food trend that you fell for? · We tried making a massive macaron once & utterly failed. It was very delicious mush though. Q4) How do you think food should be portrayed on instagram? · Because some of it is so aesthetically pleasing and everyone loves food! Q5) Why do you think food has become such a big trend when it comes to instagram photos? Q6) What do you hope for the future of food on instagram and how it is portrayed? · Evening! Late to the party! I’d say food & health definitely add the colour & diversity needed for a good feed... hi all! · A5. People are always looking for the best restaurants or ideas for dinner so with these photos and geotagging people are able to find what they are seeking. · Food should be portrayed on instagram as just a part of life, something we all need to survive, and thus something we can celebrate. I think putting pictures of food on Instagram gives it a new light as art. · Food is trending on instagram because people are looking for ways to make it better and more interesting as we as a society move toward more and more healthy lifestyle trends. · I agree. Great for inspiration in the eve too & break the mound from the norm. Thank you for joining us on the FBLChat and don’t forget to join us next Tuesday at 8pm.